Ubisoft’s Natchai Stappers explains why you can’t get whatever loot you want from any activity. One of the biggest criticisms surrounding Tom Clancy’s The Division is its loot drops, which are an essential part of its enjoyment. This is primarily due to the fact that you can’t just get any loot drop you want – if you want specific Gear Set pieces you need to play Falcon Lost, Clear Sky or High Value Targets. Conversely, if you enjoy any activity and want something else besides, say, Lone Star or some other nonsense, you’re out of luck since they prioritize specific drops heavily. 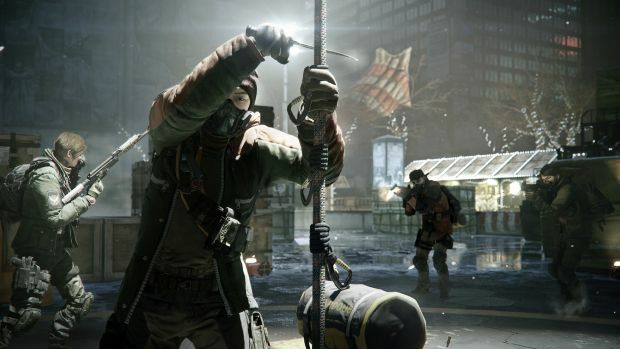 This reason is understandable – The Division already has a ton of RNG behind it. Why increase that even more, even though the Dark Zone operates on the same philosophy and more often than not dispenses loot faster. But anyway, the next point is a little concerning to hear from Stappers. “Second, if we make all content drop all loot, unweighted, then most of the content will be ignored because players will look for the easiest/fastest way to gather loot and then not bother with the rest. This might seem like a great idea to some of you, as you might be able to gear up faster, but this will be boring and is not the dev team’s intention. After all, we want players to play all content, or at least most of it, not just a tiny slice. The problem with noting that “most of the content” will be ignored is to not acknowledge some key issues with The Division’s loot. Firstly, some Gear Sets are simply better than others and not offering all players an equal opportunity to obtain the same without going into the Dark Zone isn’t working. Secondly, some activities like Falcon Lost on Heroic aren’t fun at all and tedious at best but they’re the only means to obtain Gear Sets like Striker’s Battlegear or Sentry’s Call. What does it say about ignoring content when players are ignoring 90 percent of the game to focus on the 10 percent that’s not fun? Regardless, the developer also introduced a bunch of punishing crafting requirements and those have been relaxed overtime. What are your thoughts on this current approach? Let us know in the comments.